Buy Makeup Mirrors online at Boozyshop, the makeup webshop that makes online cosmetics shopping fun! Have you ever tried to put on your make up without a mirror? Not that easy, right? If you put on your make-up, you obviously want to be able to see what you are doing. A mirror is your indispensable tool when applying make up. A make-up mirror gives you even more benefits, in contrast to the ordinary mirror on the wall. With the right make-up mirror your make-up is always on fleek when you step out the door. A mirror is super handy, sure. But without the right lighting, you are still nowhere. If you can not use good light during the application of your make up, you run the risk of, for example, putting on too much or too little foundation. You obviously do not want that, because as soon as you go outside you can clearly see that something went wrong. A mirror with lighting is the solution for you. 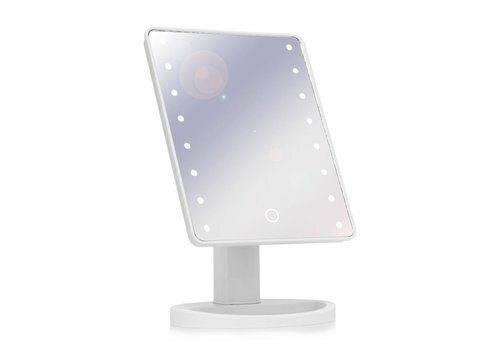 With a make-up mirror with lighting, you always have the perfect light at hand to make up. These mirrors are often equipped with LED lighting, which also makes them energy-efficient. Very handy, because even though it is still dark outside: your make-up will always be on point! Drawing your eyebrows, applying eyeshadow, contours: to really shine it takes a lot of precision to get your make-up perfect. A magnifying mirror helps you with this. These come in different types and sizes. So you have 5 times magnifying mirrors, 10 times magnifying mirrors and magnifying mirrors with lights. When you apply your makeup with this make-up mirror, you can be sure that you will look flawless all day long! 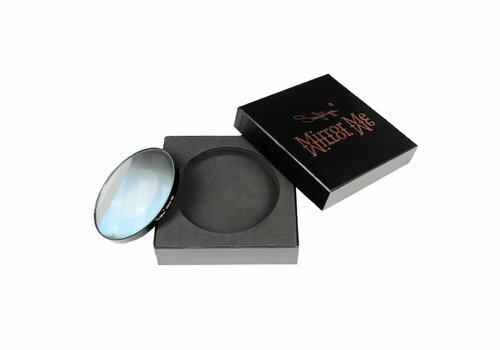 Discover the make-up mirrors from Boozyshop now! Your look always fleek? You can achieve that with the make-up mirrors from the Boozyshop range. You will be a pro with these mirrors. 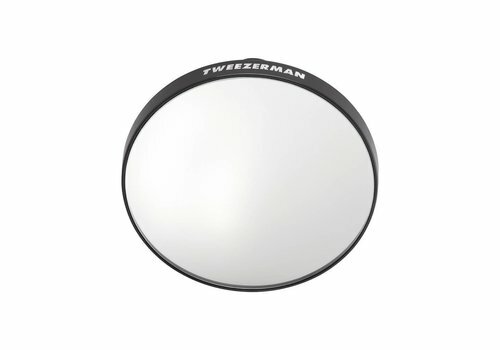 Boozyshop offers something for everyone and we have several brands, including the professional make-up mirrors from Tweezerman. Discover the complete make-up mirror range from Boozyshop for an impeccable look!